Sujean Rim is a children's book author and illustrator who created the Birdie series. She has worked as an illustrator for clients including Tiffany & Co, Target, and the website Daily Candy, and she is working on several design and illustration projects, such as a campaign for UNAIDS. Sujean lives in New York with her favorite artist, husband Bob, and their son, Charlie. Find her online at www.sujeanrim.com. 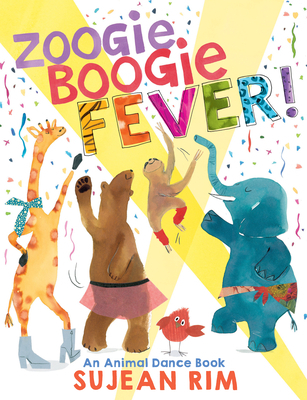 Praise for Zoogie Boogie Fever! "Rim's exuberant, mixed-media illustrations combine splashy watercolors, cut and torn paper, and photo collage, all in appropriately robust and colorful hues...will have little readers doing free-form boogies of their own."